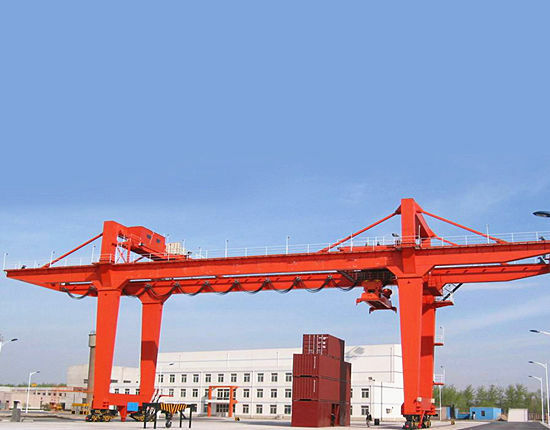 Double girder gantry crane is mainly composed of the crab travelling, the trolley travelling, electrical, gantry and other components. 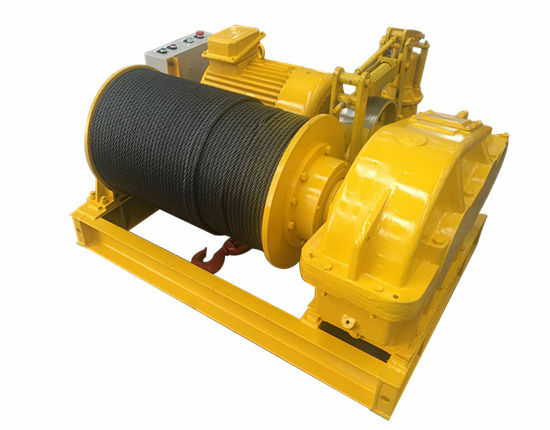 It can use cable reel power supply, with diesel generator power supply or bare copper slip line power supply. 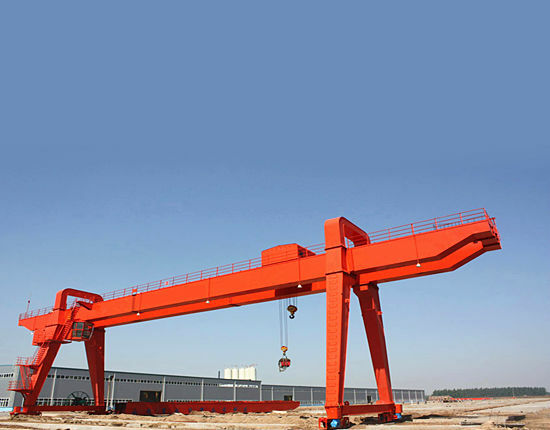 In addition, this crane is widely used at outdoor freight yard and bulk cargo handling. 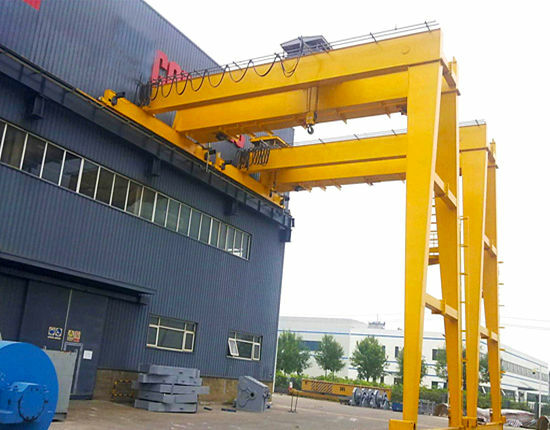 The crane structure can adopts European-style configuration, known as the European double-beam gantry crane. 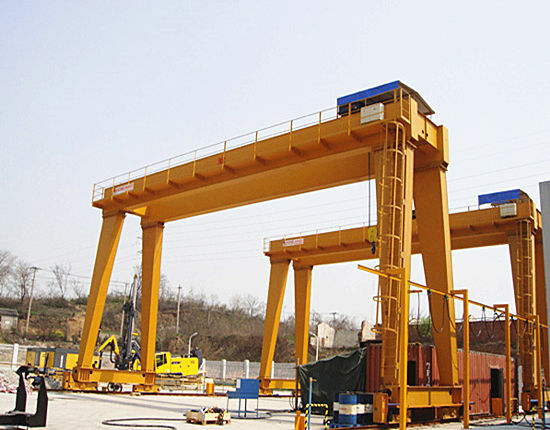 Double girder gantry crane carrying capacity is strong and the span can be very large. The overall stability is good. 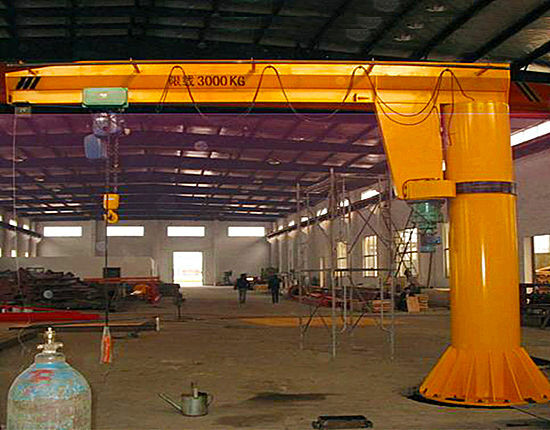 Compared with single girder gantry crane, the overall rigidity of the double form is stronger. 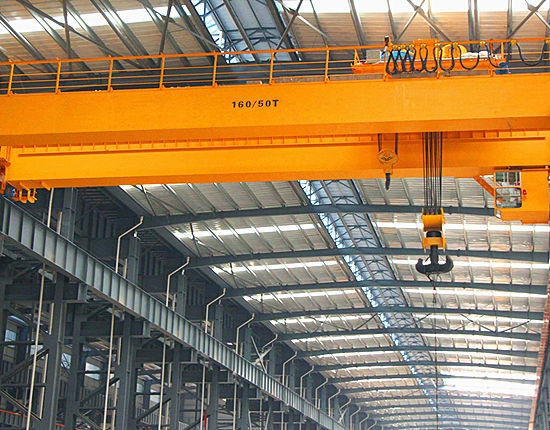 Because the gantry crane has two girders, the entire structure has stronger stability. In different condition, our technicians design various products that meet the customers’ requirements. 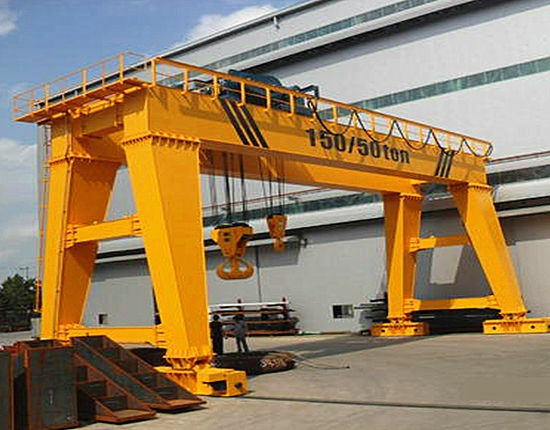 Due to a larger space of the U model gantry crane between legs, which is also different from other gantry cranes that become the biggest features, it is suitable for larger objects to convey. 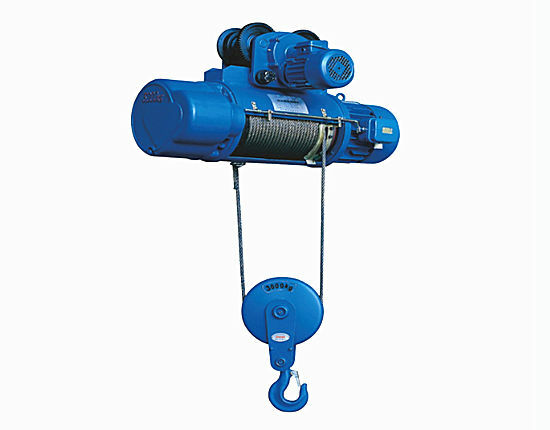 Its lifting weight is suitable for 5-50 tons; proper span is suitable for 18-35 meters; working temperature is suitable for -20 degrees to +40 degrees. 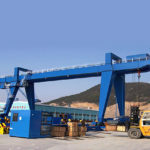 This crane is widely used at the open ground and warehouses loading and unloading materials, and outdoor equipment production sites and cargo handling. Mode of operation has ground wireless remote controlling and cab operation. Of course, if you want the operation quickly, you can make the two kinds of models work together. Our group Ellsen strictly makes our products accordance with the technical specifications. We pay attention to high efficiency and safety first standards. In addition, the main dimensions of this type are many, so customers can enjoy the selection. 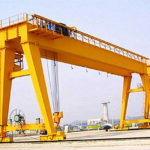 According to different types of division, A type gantry crane can be divided into two categories. According to use form, it is divided into hook type and project type; according to the main beam structure, it is divided into box type and truss type. No matter what the model is designed, its purpose is to help workers finish the task faster. Of course, above the products, we can customize for you according to your requirements. 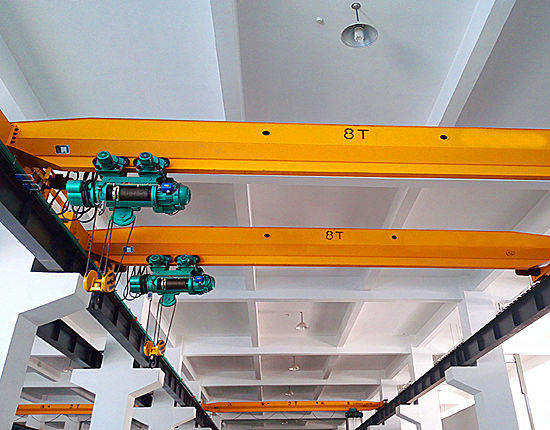 From the overall structure, it has two main beams, compared to a single beam, is more suitable for handling larger items, and relatively higher to level of work. Therefore, with a wide range of operations, wide adaptation and versatility and other characteristics, it is widely used in the port yard. Despite the double-beam structure, the bottom is also provided with rail mode. You can also move wheels with wireless remote controlling and drivers’ room controlling when you think that make the rails in trouble. 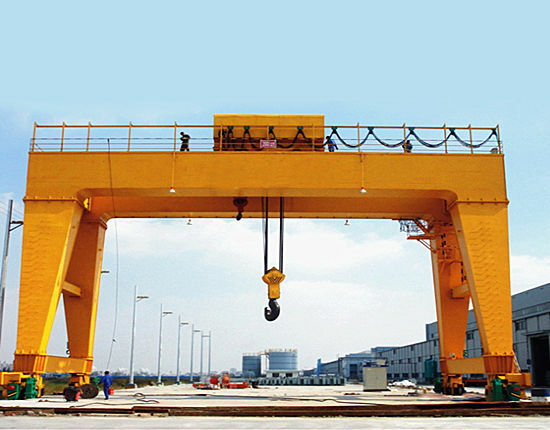 Regard to tonnage of A type, our technicians design a wide range of the A mode double girder gantry cranes. Each level has its own unique idea. 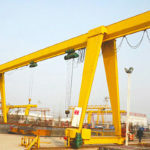 Compared with the project gantry cranes, with hook, it is divided into the main hook and auxiliary hook. The standard of span can also be changed as customers’ requirements. Of course, our group has installed some devices for various security measures. For example, when construction site has a strong wind and the operators are working, the crane’s warning devices can manifest wind siren. In addition to these, we also installed more stability equipment: break proof shaft, overturn proof, etc. 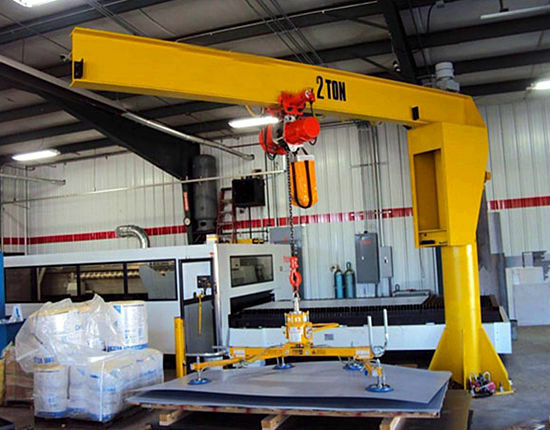 The machine adopts two girders and equips with hooks to assist. Its characteristics are mainly used for general loading and unloading and crane handling in construction factories such as roads, bridges and power plants. In addition, the whole machine adopts structure of truss type. Then, its own weight will turn lighter, the wheel pressure will be less, and the overall performance will be reliable. 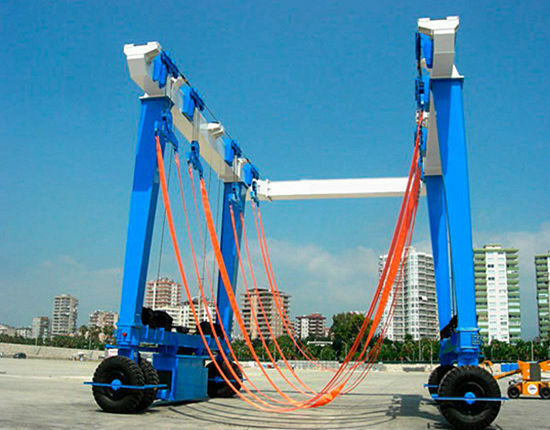 When the span ≥ 35m, the legs are divided into rigid legs and flexible legs, flexible legs is to compensate for structural deformation caused by temperature. Truss type has the advantages with light weight, good wind resistance and the cost is very reasonable. 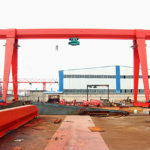 In fact, our company not only provides customers with single girder semi-gantry crane, but also meets the demands for double girders. On different occasions, more and more customers want products that are safer and more suitable for themselves. And when they choose all kinds of products, they will strive to find the products they want. Of course, our products not only meet the customers for the quality bust also are popular with home and abroad. In addition, the work of the standards also have strict requirements. 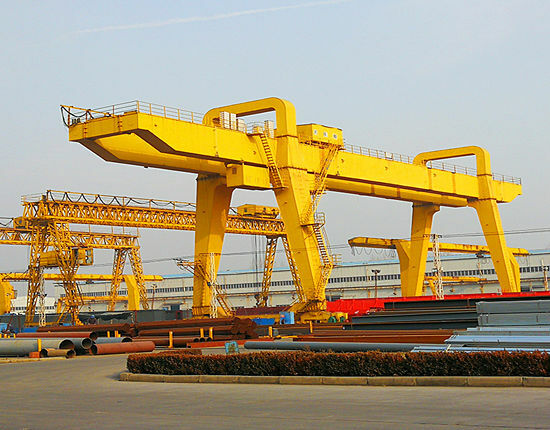 Especially for the supply of double girder semi-gantry cranes, it has been exported to more than 60 countries and regions. One supports the main beam structure by one leg, and the other connects with the factory building or construction bracket. 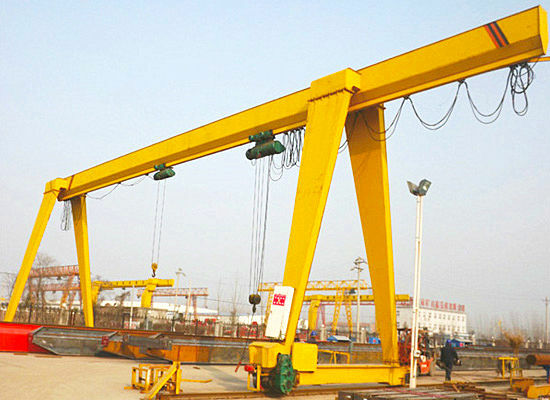 According to the civil construction site requirements, its leg height has various types for BMG double girder semi-gantry crane. Such the structured model can help the operators deal with problems. 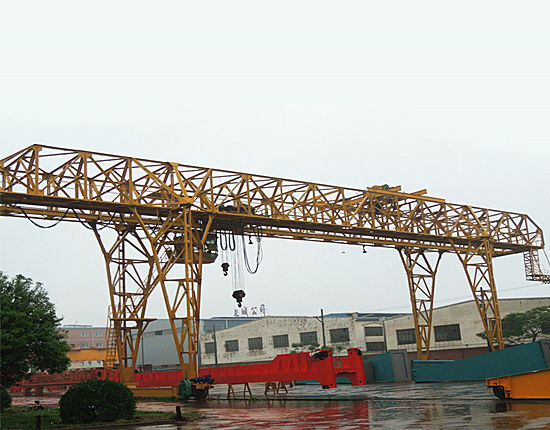 Compared with single-beam gantry cranes, double-girder gantry cranes have better stability and the scope of application is also wider. Although the price is relatively high, the space between the legs can be reasonably used to lift the goods. And the loading goods can be left and right. In addition, the operator can work between the two main beams with high safety performance. However, the structure of a single beam can not meet this demand for transporting operations. Besides, the variety of products have different settings in terms of span and lifting weight. If the customer’s product is larger, our advice is to choose a double-beam structure. No matter what it is the warehouse handling or engineering operations, our products can finish the task well with many advantages. For example, when workers operate in a factory with exceptionally high temperatures, our products have special materials that are not subject to high temperatures, and are more suitable for this type of mechanized operation. If you are interested in our products, you can email or call us. We will reply you as soon as possible. If you have spare time, you can visit our factory. welcome to China.